Live in Torment features Withered performing LIVE at the historical Masquerade in Atlanta, Ga on August 26, 2011. 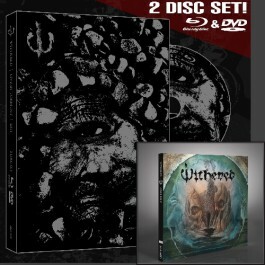 2 disc set includes Blu-ray (Full 1080p-HD) and DVD versions (give one to a fellow metaller!). 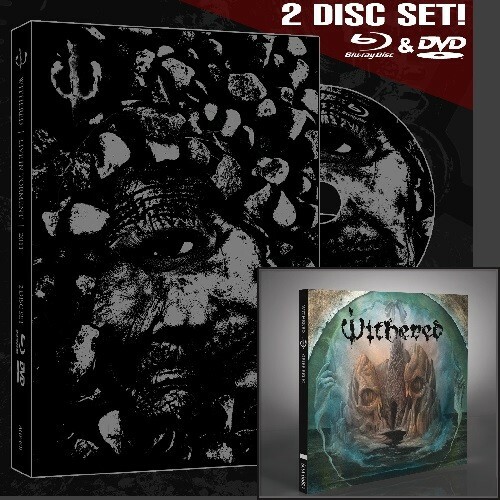 Bonus features include a full discography with album medley and stats, and 2 play through videos of the original demos for ‘Distort, Engulf’ and ‘My Leathery Rind’. Track listing: Seek The Shrouded, The Progenitor’s Grasp, Extinguished With The Weary, …The Fated Breath, Purification Of Ignorance, Silent Grave, and Among Sorrow.